The first from the two lifts in Veliko Tarnovo has been approved. The National Institute for the Monuments of the Culture /NIMC/ has accepted the project for the route Trapezitza-N. Pikolo street, but still hasn’t made an agreement about the route Tzarevetz castle-Arbanassi. The first from the two lifts, that the mayor of Veliko Tarnovo intends to construct, has already been approved by the The National Institute for the Monuments of the Culture. and hauling device at the destination Trapezitza car park - N. Pikolo str. The previous year the expert group rejected the plan, but at the re-consideration it confirmed it. The Commission, however, for the second time refused to coordinate the bigger from the two lifts, which according to the plans should connect the Baldwin Tower with the village of Arbanassi. 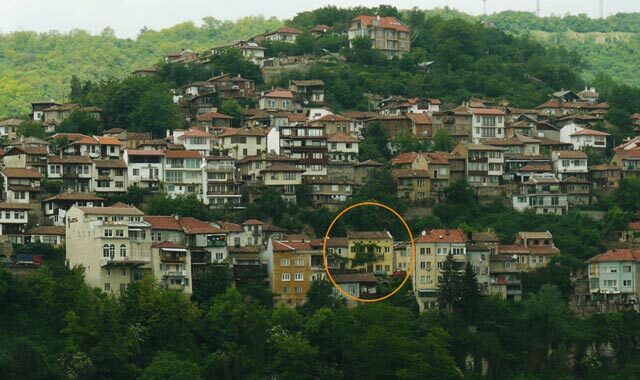 As a basic reason for it, NIMC points out that this project will break the cultural landscape of the historical villages Veliko Tarnovo and Arbanassi, as well as the reserve zones of “Momina krepost” and the dendrarium. “We will try to convince the NIMC and will introduce the plan again. We had a success with the first lift so we’ll invite the members of NIMC to come here and convince by their own. The town needs new attractions and we’ll do everything possible to create them’, said Dr. Rumen Rashev. Dr. Rashev reminded that in almost whole Europe, there are such lifts located near architectural monuments of world-wide meaning, so there shouldn’t be any obstacle for the construction of such device in our town. „We are yet to decide how it will be determined the executer of the approved lift”, pointed out the mayor. According to him there are two possible variants for the construction of the lift: a contest or a concession. According to the conception of the approved lift, the tourists will start their rout from the foot of Trapezitza hill, near the tunnel, where it will be constructed a car park. Then the lift will bring them to the old part of the town - in the region of the monument Nikola Pikolo. In this way, except for the panoramic walk, the traffic in the old town will be eased, and the traffic jams will be prevented. Already during the next sessions of the local parliament should be determined the form of the construction of the first lift in Veliko Tarnovo, which has been discussed for two years now, but until now there hasn’t been reached an approval by the National Institute for the Monuments of the Culture.